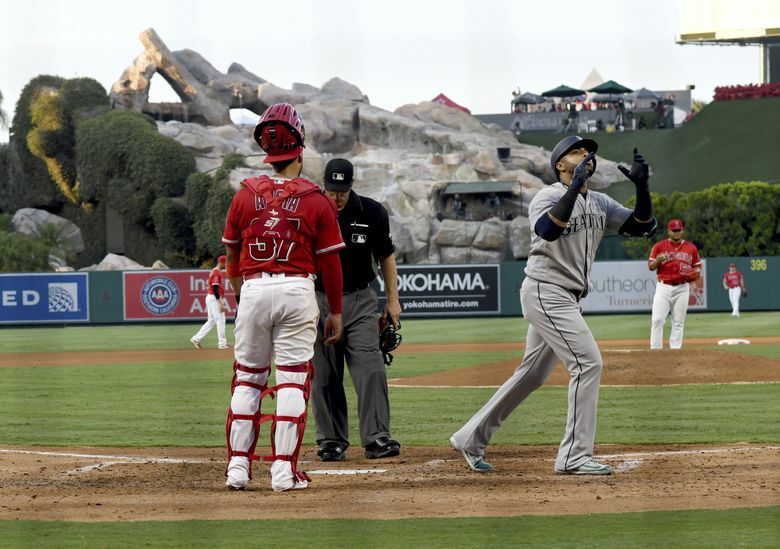 ANAHEIM, Calif. — These were the games that Felix Hernandez used to relish for so many seasons. He understood it was his responsibility as the ace of the Mariners’ pitching staff that when things were going wrong and losses were piling up, he would step in and use his array of darting, cutting and sinking pitches and his intense competitive nature to stop the losing, if only for a game. He knew it. His teammates knew it. Opponents knew it. 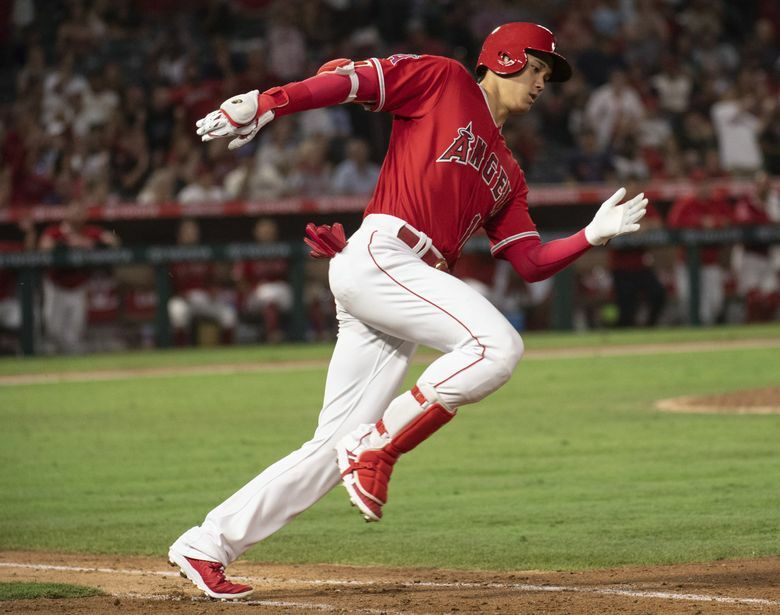 But as he stepped to the mound of Angels Stadium on Saturday night with his team in desperate need of him re-acquiring his missing command and providing an outing reminiscent of even three seasons ago, there was little to believe that would happen. Not changed workouts in between starts or altered pregame routines or even improved mindset on the mound, nothing short of a time machine, could make it seem legitimately realistic. And that skepticism was met with expected results. 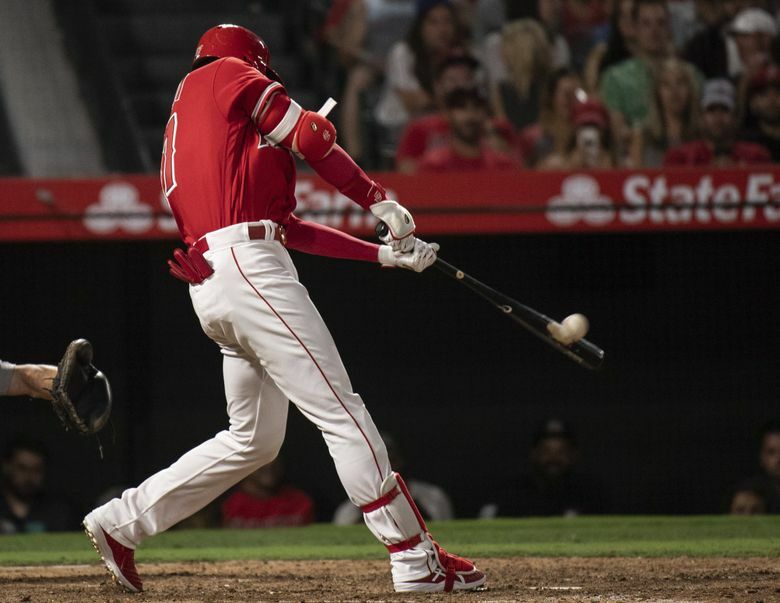 Hernandez delivered his worst performance in a season filled with regrettable outings, crushing the Mariners’ chances to win before the third inning was over in what would be an 11-5 trouncing by the Angels. Seattle fell to 61-43 and dropped the series. 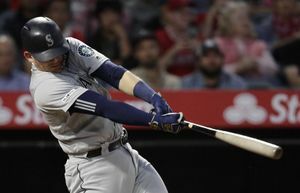 The Mariners maintained their one-game lead in the second wild-card race thanks to the Rockies beating the A’s for a second straight night. It may not seem that biting of criticism, but “noncompetitive” to any player and coming from the manager isn’t exactly kind. Servais only asks that his starting pitchers keep the team in the game. And Hernandez has failed to do that far too often this season or inspire confidence that he will do it going forward. He sat at his locker in the corner of the clubhouse, staring at his feet, hair standing straight up from holding his head in his hands. He stood up to discuss his outing and there wasn’t an ounce of that bravado or swagger that used to ooze from him in his King Felix days. Standing there, ordinary and vulnerable, he was just a pitcher that couldn’t get outs and couldn’t explain or understand why. But can he? Is it too late to somehow fix what is broken? He’s made attempts at the urging of others, who seemed to know more than him that it was necessary for survival, not just success. 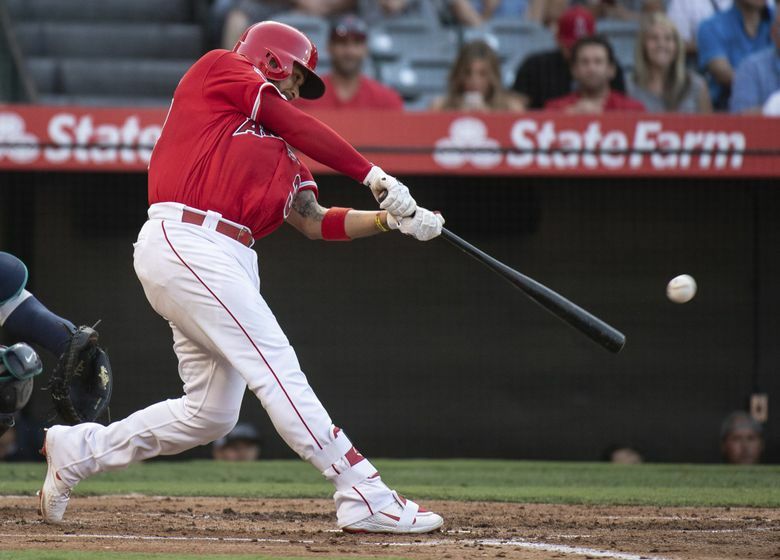 Hernandez gave up what feels like his 452nd home run to Mike Trout in the first inning. The solo blast was actually just the eighth homer by Trout off Hernandez. 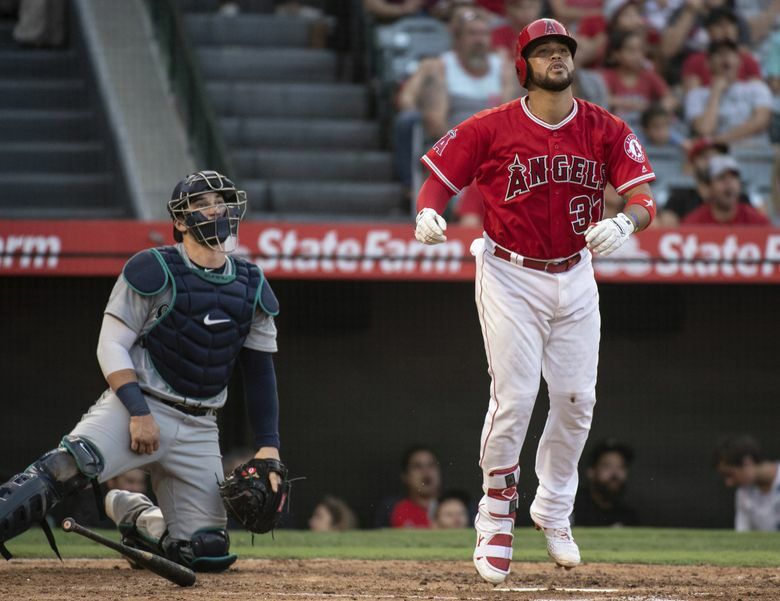 Teammate Nelson Cruz erased that brief 1-0 lead by smashing his first of two homers on the night off of Angels starter Jaime Barria. The line drive smacked off the foul pole in left, making it back-to-back games with a homer for Cruz. It was only a momentary reprieve. Hernandez’s outing started to crater with two outs in the bottom of the second. 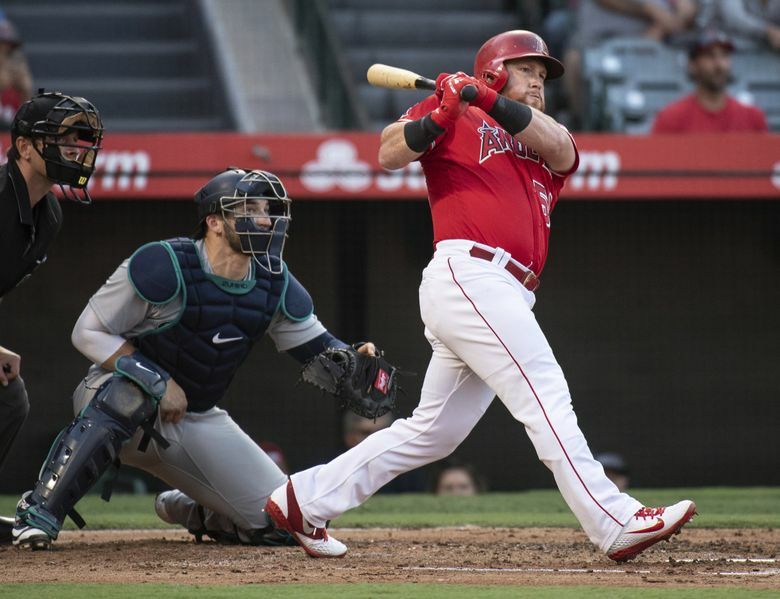 He walked Ian Kinsler, gave up an RBI double to rookie catcher Francisco Arcia and served up a two-run double to Kole Calhoun before finally getting the final out of the inning. Being down 4-1 wasn’t exactly ideal for a Mariners team that has scored more than three runs only seven times in its past 19 games. The prospect of a comeback went from hopeful to hopeless in a third inning that Hernandez never finished. With two outs and a runner on second, Hernandez gave up back-to-back singles to Andrelton Simmons and Kinsler to score another run. “All the runs with two outs,” Hernandez lamented. Servais had seen enough. He went to the mound to remove Hernandez, who couldn’t hand the ball off and retreat to the clubhouse fast enough. There were few words between the manager and the struggling pitcher, because, really, what is there to say at this point? Hernandez’s replacement, Casey Lawrence, gave up a three-run homer to Arcia, the first batter he faced, to make it 8-1 with two of the runs charged to Hernandez. So what happens next for the Mariners and their one-time ace? 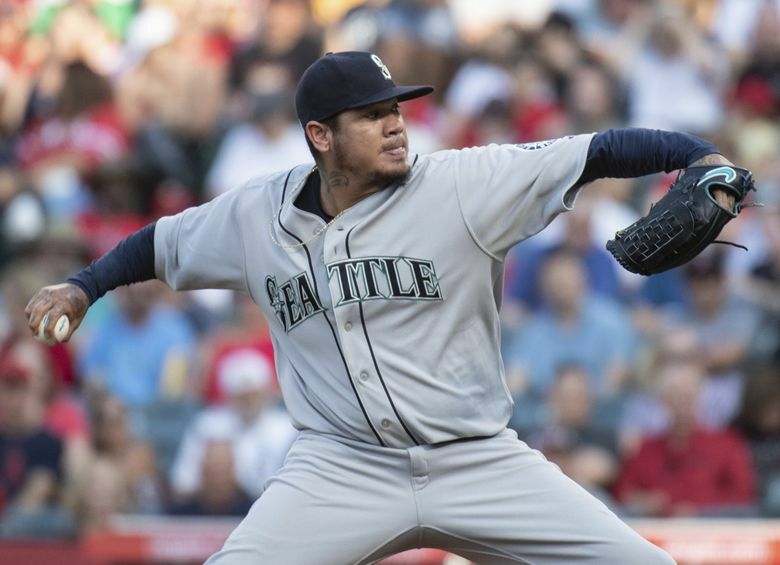 A discussion about Hernandez’s future in the rotation certainly has to be on the agenda for Servais, pitching coach Mel Stottlemyre and general manager Jerry Dipoto in the coming days. It seems counterproductive to keep rolling Hernandez out there with the team trying to stave off the charging A’s in the race for the second wild card. Hernandez is 8-9 with a 5.58 earned-run average in 21 starts. He’s pitched more than five innings in two of his past eight starts and just 12 times in his 21 starts this season. He’s allowed three or more runs in six of his past eight starts. But it’s beyond the results. It’s the unpredictability of each start and giving the team the best opportunity to win. The Mariners basically need to keep a long reliever rested going into each one of his starts on the possibility he goes five innings or less. That’s a difficult way to operate. 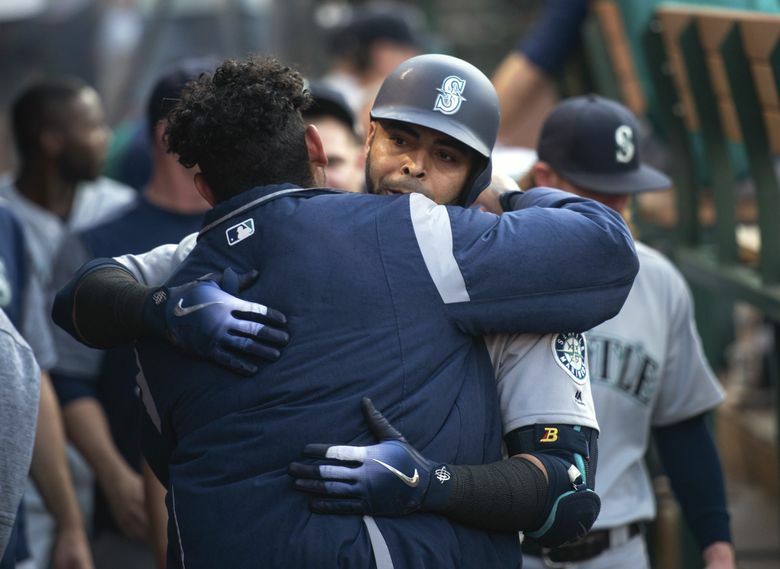 “I don’t think it’s a simple conversation with anybody, let alone with what Felix has done throughout his career,” Servais said. Hernandez’s greatness when the organization was mired in mediocrity is without dispute. To see him now struggle in the first real season of his career where the postseason is a legitimate possibility is tragic. He’s owed $27 million for next season plus what’s remaining on this season’s $27 million. 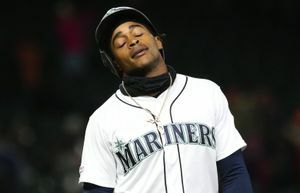 So the Mariners won’t just release him and eat over $35 million in salary. They’ll probably continue to try and salvage him in some way, still believing he can be a productive pitcher. And that’s not without possibility though it doesn’t seem imminent in the near future. Because of service time, he can refuse any assignment to the minor leagues. The cry to move him to the bullpen means a roster spot still occupied by a pitcher who still struggles to command his pitches. He won’t suddenly find that lost command in the backpack full of gum, sunflower seeds and Red Bull that the relievers keep in the bullpen. Right-hander Erasmo Ramirez is still probably two rehab starts away from being able to return to the rotation, leaving Rob Whalen, Christian Bergman and Ross Detwiler as candidates. Perhaps this outing is something that inspires Dipoto to acquire a starting pitcher before Tuesday’s trade deadline. Usually a decision like this is made a start or two too late. Hernandez’s turn in the rotation comes up again on Thursday at Safeco Field against the Blue Jays.